The Muqata'a in the background. 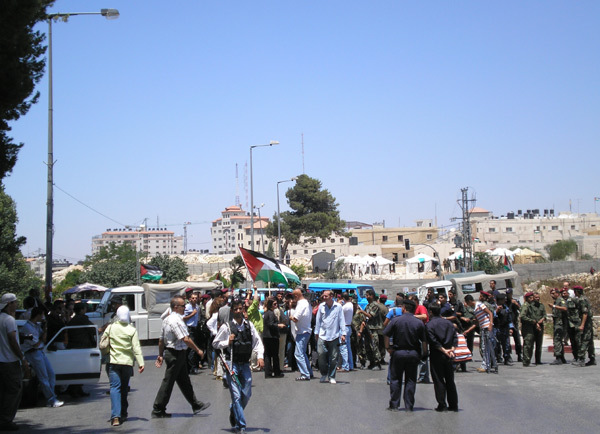 The forces blocking the way are the U.S-sponsored Presidential Guard (allegedly to guard the U.S.-sponsored President, who is seen by many here as a sell-out, but more probably to be a force in the U.S.-desired war against Hamas). 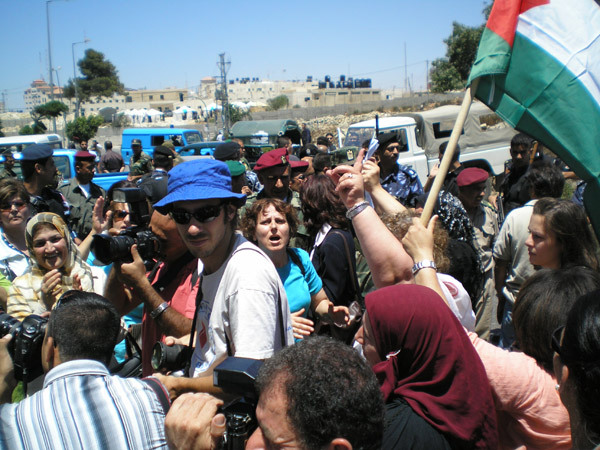 The protestors here were outnumbered, ofcourse, but tried to push their way closer to the Muqata'a, where at least their signs and protest would be seen by the unwelcome visitor. 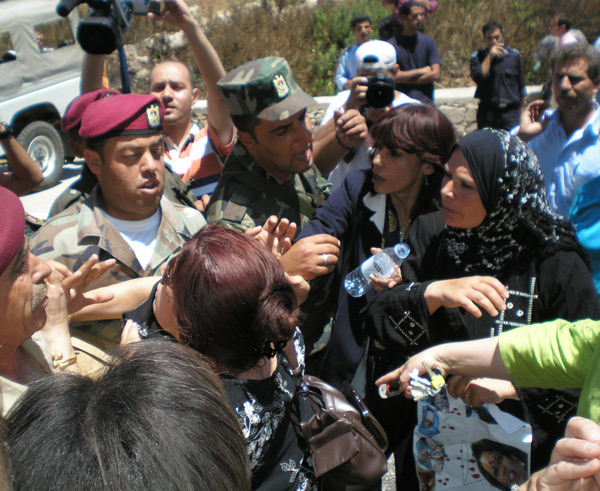 A scuffle occurs between protestors and security, and Khaleda Jarrar, member of the Palestinian Legislative Council, and a leading figure in the Popular Front for the Liberation of Palestine, intervenes to prevent the confrontation from escalating. 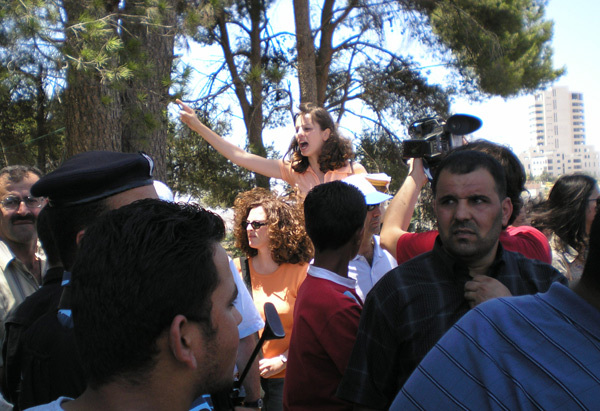 A young activist leading chants against U.S. policy, near the Muqata'a. To all the journalists who come on Israeli-sponsored trips and return to the States to report on how "beautiful" the Israeli women soldiers are... this one's for you!